I’ll spare you a whole paragraph of waffle about stashed fabric, the length of my to sew queue and the Stash Diet… yadda yadda yadda. Let’s talk about the pattern instead: The scoop top is generously available as a free download with instructions from lovely Kristin of Skirt as Top. I went for the speedy approach: no measurements, cut out the one size pattern and skipped the pocket. 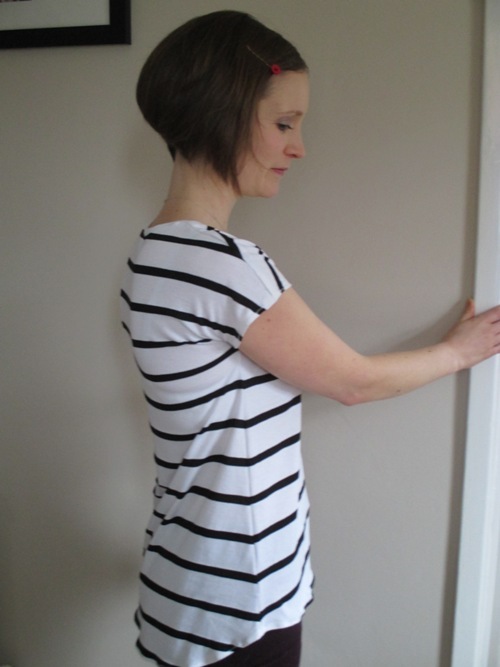 The only care I took over this make was to match the stripes at the side and shoulder seams – my photographer (not my usual one, so big thanks to my cameo photographer for this) insisted that I show this stripe matching off and came up with an appropriate pose. I didn’t have any stay tape, twill tape, white ribbon or clear elastic in my stash so I used Kristin’s suggestion of cutting narrow strips of white light weight fusible interfacing to stabilise the shoulder seams. It works… not that I ever doubted Kristin’s advice! Did you notice my button hair grips? 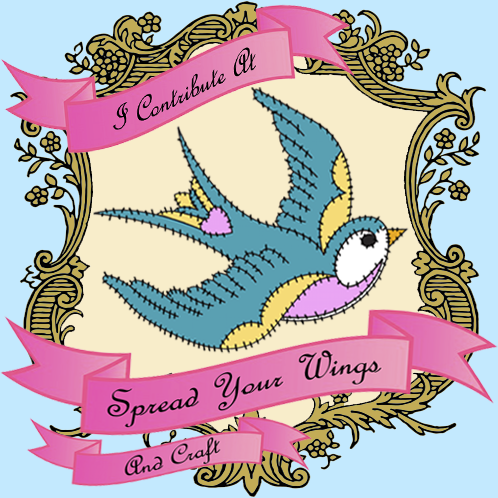 My tutorial for this was posted yesterday on Spread Your Wings and Craft. This entry was posted in Accessories, Easy beginner pattern, Free pattern, Sewing, Stash Diet 2014, Stretch fabric, SYWAC. Bookmark the permalink. Very nice, that’s some pretty impressive stripe matching – and I loved your hair clip tutorial yesterday! cute top! and great job with the stripe matching! Really cute! This looks great on you! 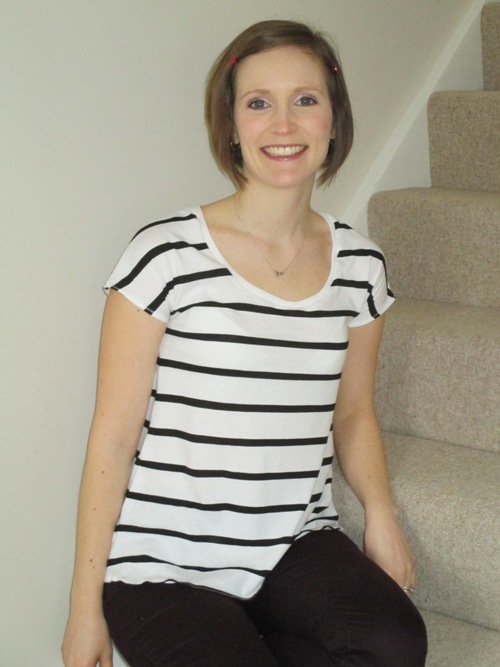 This top looks like a great ‘go-to’ pattern and can see you slimming down your fabric stash with a few more versions!